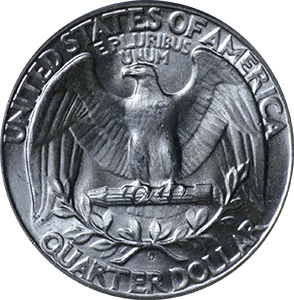 Coin Dealer Insight: 1945 was much like 1944 in terms of coin value as production levels still exceeded 100 million quarters from all mints combined. 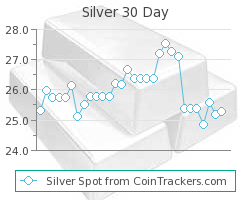 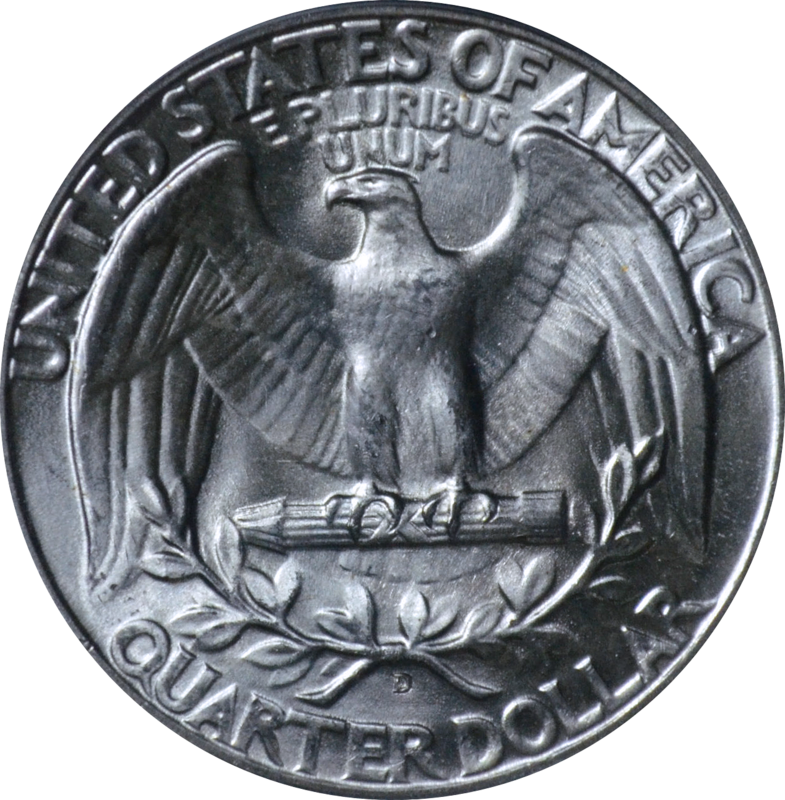 With a slightly lower production run from the Denver mint, those quarters will have a marginally higher value than other mint productions. 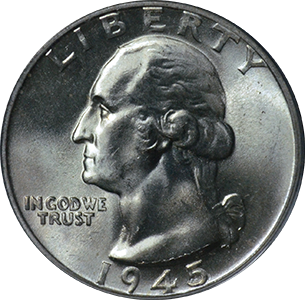 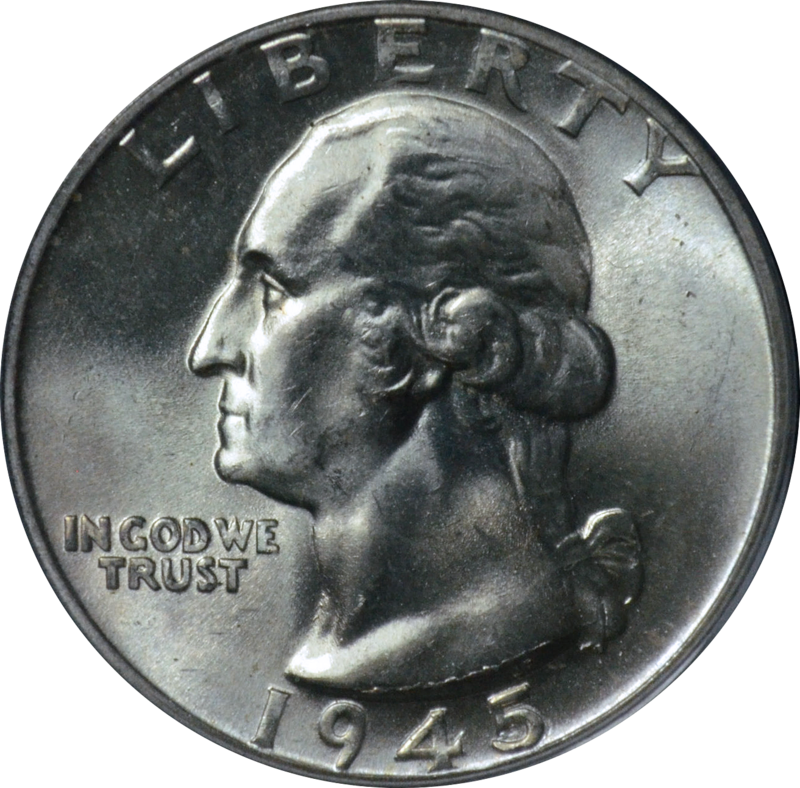 Production: 74,372,000 Washington Quarters were minted at the Philadelphia mint in 1945.